Aerial View, looking north, of the Port Authority Grain Terminal and the Columbia Street Pier, June 25, 1950. In the photograph, the Grain Terminal, is the large rectangular cement building, located at the right mid-section. Behind it to the right are the Red Hook ball fields. The Columbia Street Pier is the long pier with an equally long shed, extending to the bottom left corner of the photograph. The Red Hook Grain Terminal, is a large cast-cement grain elevator, erected by New York State in 1922. It was made to store grain arriving from the Erie Canal. 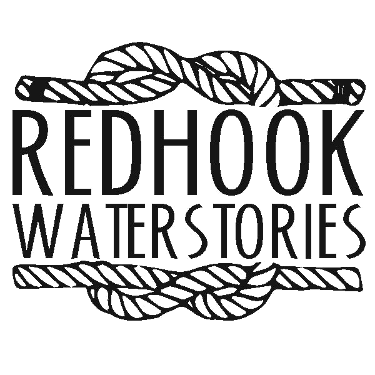 It was hopped the massive terminal would revitalize the shipment of grain along the state's water routes but the amount coming into Red Hook continued to decline. 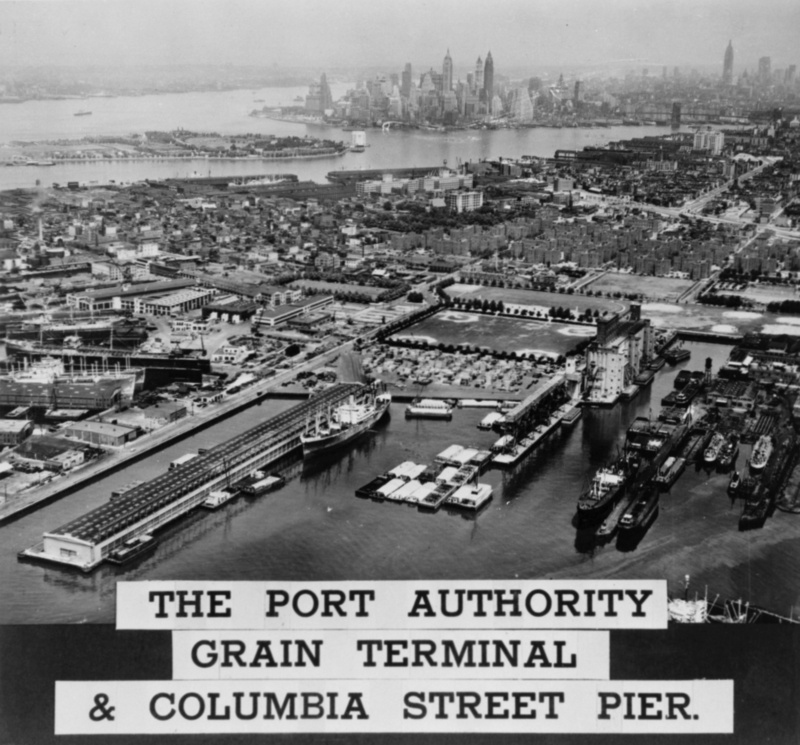 The Port Authority of New York and New Jersey took over it's operation from New York in 1944, and decommissioned it in 1965. It is now owned by GBX.